North Carolina down payment assistance programs help first time home buyers in realizing the American dream of owning a home. These programs include the down payment assistance program and the mortgage credit certificate. The two programs are unique in nature and aim at helping the different classes of people depending on their income levels. All the North Carolina down payment assistance programs beneficiaries are given a tax credit of $8000 per year. This is meant to spearhead the country’s economic stimulus programs which encourage people to live under good housing conditions. First time home buyers are people who might not have owned or occupied a personal home within a period of three years or people who had previously owned a home and sold it out for a period exceeding three years. Further, the residential property which you aspire buying must be the primary residence. In order to benefit from this program, one must attend a home buyer education counseling program with a certificate indicating completion. Every down payment assistance program has requirements which vary from program to program. North Carolina mortgage credit certificates are federal tax credit program aimed to assist the low and moderate income earners to buy their own homes. 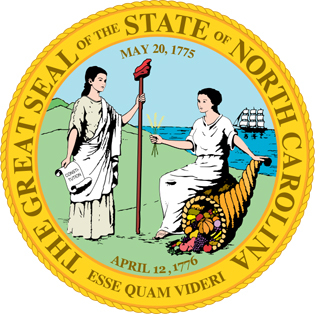 It is the second part of the North Carolina Down Payment Assistance Programs. People who fall under this particular program receive a tax reduction on their annual gross income. The gross income is the key determinant for identifying the beneficiaries. This income is summed up for everyone living in a beneficiary’s residency aging eighteen years and above. People who fall in this category are allowed a twenty percent claim on their mortgage interest rates paid per year. Saving up to $2000 on taxes. NC Home Advantage Mortgage Program This North Carolina down payment program is for a first time home buyer (or a move up buyer) in North Carolina has annual income under $85,000 and a credit score above 640 they will be eligible for the Home Advantage Mortgage. This first mortgage loan is paired with North Carolina down payment assistance. Current loan terms are 30 year fixed rate mortgages with zero discount points and 1 percent origination fee. The North Carolina down payment and closing costs assistance is an interest free deferred and forgivable second mortgage loan which can amount to up to 5 percent of the first mortgage amount. Repayment of the North Carolina down payment assistance is only required if a North Carolina borrower vacates the home within 15 years. North Carolina housing agencies are your best resource for down payment assistance programs. Through funding from HUD, the purpose of these agencies is to ensure that affordable housing is available for everyone. This entry was posted in North Carolina and tagged down payment assistance, grants, housing authority, north carolina, programs. Bookmark the permalink.